Need to schedule appliance repair during the holidays? Our call center will be open on Thanksgiving Day to schedule service for you! Call us today, or schedule service online! We truly care about our customers and providing the service they need to get their life back on track. From laundry room appliances to kitchen appliances, we have you covered. Ran into an unexpected appliance issue? Not sure who to call? 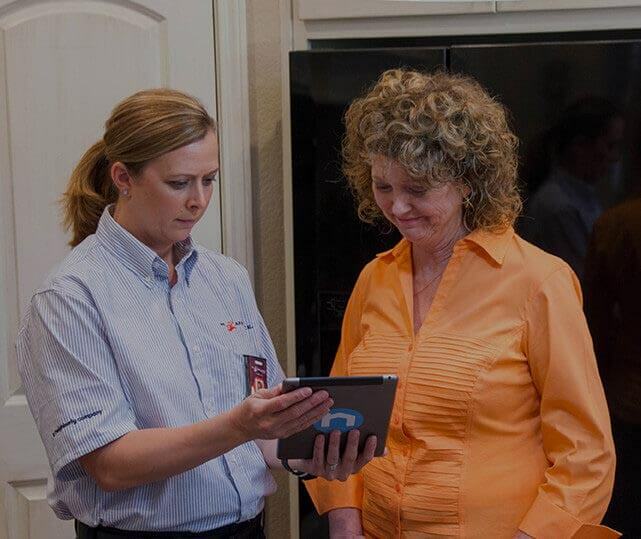 Our team is here to tackle all your appliance concerns! We know how frustrating it can be to deal with a broken down laundry machine or kitchen appliance. That is why we are always just a phone call away, ready to provide assistance. We get to work fast repairing or servicing your appliances, ensuring they are running smoothly again in no time. Our goal is to restore comfort and convenience to your home in a fast timeframe. The technicians at Mr. Appliance of Pearland have the skills and training to service all major brands, makes and models, from LG and Whirlpool to Sub-Zero and GE. We treat you and your home with the utmost courtesy and respect when we are on the job, always cleaning up after ourselves and ensuring you understand the services we performed. Let us fix your appliance problems today!